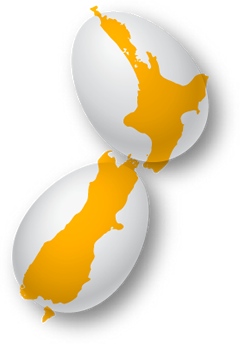 As New Zealand's leading egg producer we produce a wide range of shell eggs through to processed eggs - pasteurised and cooked. Our company is vertically integrated to ensure control of the complete process from the production of feed and the rearing of day old chicks right through to the manufacture of the finished egg product. This ensures that we can consistently provide the quality required by our discerning customers.